Cut the potatoes into 8 mm slices. Cook them for 5 minutes in salted water. 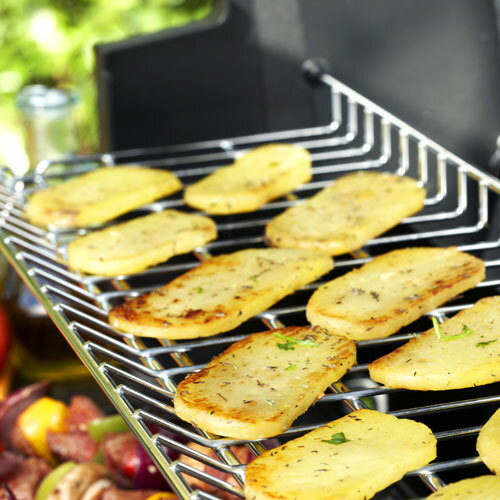 Drain the potato slices, brush with olive oil and sprinkle fresh thyme or savoury on them.